In Pope Francis’ general audience this past Wednesday he explains beautifully what Fear of God means. This particular Gift of the Holy Spirit can be taken the wrong way by many people. It can be taken as a literal fear, of something that could ultimately hurt us in some way. Our Pope knows this and refers to God as our “Daddy,” throughout his audience and talks about God’s great love for us. In this way we do not take fear as fear is typically understood, but more of an awe of God’s great love for us. 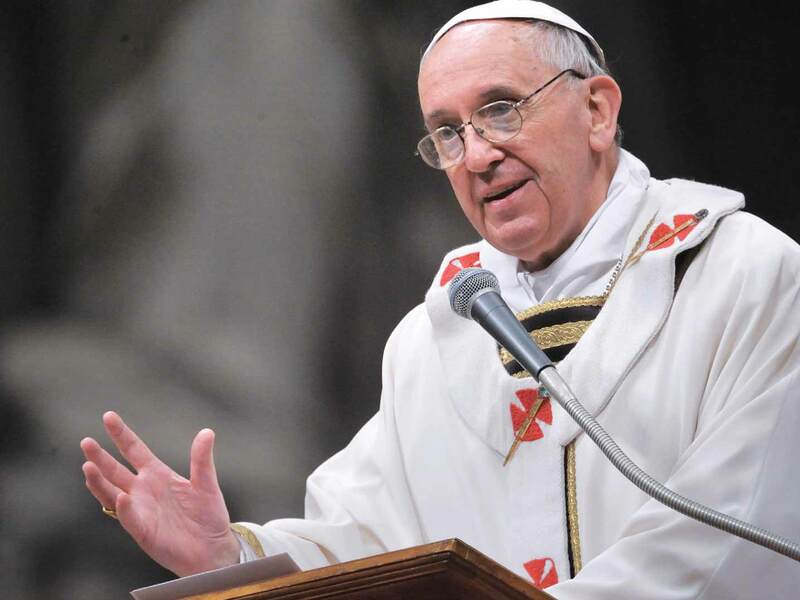 Pope Francis explains this gift as “abandonment into the goodness of our Father who loves us so.” When I read that part so many things popped into my head — bible passages, saints and stories — but I’m going to share this one with you. It is Matthew 15:22-33, one of my favorite passages from the bible. Jesus’ love for Peter kept him on top of that water and Peter kept his eyes locked with Jesus’. Peter was in awe of Jesus’ love and power, but then he noticed the storm around him. He then became fearful and doubted God and looked away from Him. He then began to sink. He let worldly fear take away his heavenly courage, but God stooped down and saved Him. Our “Daddy” who loves us so much will always save us with His love. Pope Francis also pointed out the humility we need to follow the Lord. He says, “Not with a resigned, passive even mournful attitude, but with the wonder and joy of a child.” When Pope Francis said that my mind immediately went to my patron Saint, St. Therese of Lisieux. St. Therese totally depended on God and let His love surround her, mold her and make her the amazing saint she is today. When I read Pope Francis Audience on Fear of God I think of St. Therese who “followed the Lord with humility,” to be “conquered by her Daddy’s love,” and entrusting “all her preoccupations and expectations to God.” She allowed herself to remain little and by doing so God raised her to new heights in Heaven. She completely lived her life for God, not out of fear, but out of awe for her “Daddy’s” love for His daughter. Let’s pray to St. Therese today if we struggle with this gift and thank her for her saintly example. Pray, also, to the Holy Spirit to enflame your life with this gift. Then let us pray for our Holy Father’s intentions who so accurately and wonderfully explained this important Gift of the Spirit. “This is the fear of God: abandonment into the goodness of our Father who loves us so.” –Pope Francis. Megan Therese is a young Catholic writer who lives in Minnesota. She is the author of the inspirational book, The Greatest of These is Love, speaker and Catholic Blogger. Megan Therese can be found on Facebook, Twitter and Google+. Front Row With Francis: What is Wisdom?